Spiderjohn asked "Liisa, do you collect rainwater?" My answer: Hi Spiderjohn, I don't have a "real" setup but do put buckets around the shed to collect what I can. I cannot collect water off the roof of the house because it is a rubber roof painted white. The water is not what I would call safe. The little that I do collect is used to water my seed starts and anything left over is used in the beds until it runs out. I would love to have a setup just not sure I have the space for it... but I keep thinking about it. 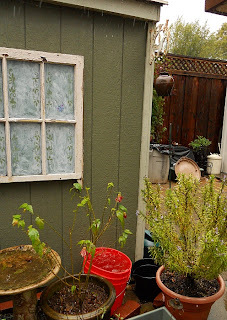 With all the rain we have had the last two weeks I really wish I did have a rainwater collection setup. I'm going to have to figure something out. Just this week alone I think I could have easily collected 100 gallons maybe more with the right setup and that is just off the 10 x12 "man cave" (shed). The photos below are of the current setup. Buckets collecting rainwater off the shed. 35 gallon trash barrel. This is where I store the water from the buckets. Future home of water storage? What do you use for rainwater storage? 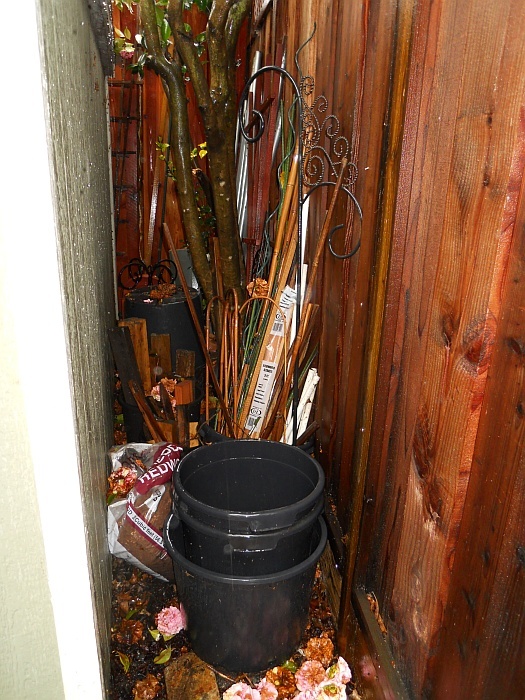 With an average rainfall of just 6.5 inches per year, we don't have enough rain to collect! Our summers are very dry, but we do have unlimited irrigation water from the Columbia River via the Franklin County Irrigation District. The water is available to us from around April 15 until about October 15 at a cost of $155.00. This amount is added to our property taxes, and we have to pay it whether we use the water or not. Granny - You are very lucky! The amount of rain we get varies dramatically from year to year. We do not typically get any rain after March or April if we are lucky. 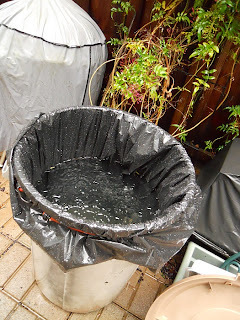 I would only have enough for seed starts and a few waterings in the garden before I would have to start using city water. We've had thunder showers predicted every day for the past two weeks, but hardly a drop of rain has fallen. We have had some drying winds though, and I've had to water the few things in the garden with a watering can and house water. I do have an outdoor (city water) faucet, but the handle came off and disappeared a couple of years ago, and it's in a spot that's hard to get to, so I have to crawl behind a bush and use a pliers to turn it on and off. It's easier to just get the water from the house! john built us a rain barrel using this video. Kelli -Thank you! That was very helpful. Now I need to find me some of those barrels. I'll have to check out Craig's List and Freecycle. Liisa, if I were you I would catch some rain off of your house roof and have it tested. It might be perfectly safe to use. You might have the potential to catch thousands of gallons of free water! And, it is better to use on veggies than "city" water with all of the chemicals in it. Let's do a little math. 1" of rain = 600gals. of water per 1000sq.ft. That would be .6gal. per sq.ft. If a house roof had a total area of say 3000sq.ft.and you had a rain of 1" you could collect 1800gal.of water. Granny, at just 6.5 inches a year that is still 11,700gal. of free (and chemical free) water per year! 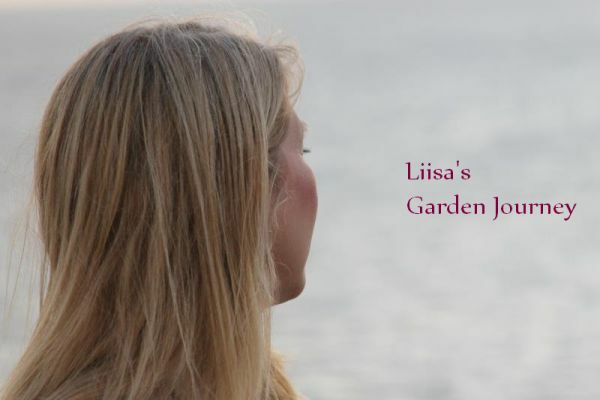 Liisa, on your husbands shed, if the roof area is 10x12 you could collect 72gal. per each inch of rain fall! Kelli, I watched that video and I hope that you did not put your barrel on blocks standing on end as it showed! Very dangerous for two reasons. Concrete blocks do not have the same compressive strength standing on end as they do laying flat and can break easier. And, if the ground around them got very soft and they started sinking and tilting the drum could fall over. The weight of a full 55gal. drum of water is almost 460lbs. I wouldn't want a little child anywhere around if that happened! I would lay them flat, double height and lay a piece of plywood on them or use 8x8 treated posts cut into two foot sections. Spiderjohn - WOW all that math made my head spin! :-) No really thank you for all that info. It is very useful. As far as the water coming off the roof.. it runs out of the downspout gray. But there is one downspout that runs clear. If I take on this project for next year I will be sure to contact you if I have any questions.